Previous Post Radishes & butter. Next Post Good morning! Another slice of daily bread. Coucou Emilie! Thanks for the recommendation and son petit histoire! Are you back in Paris yet? 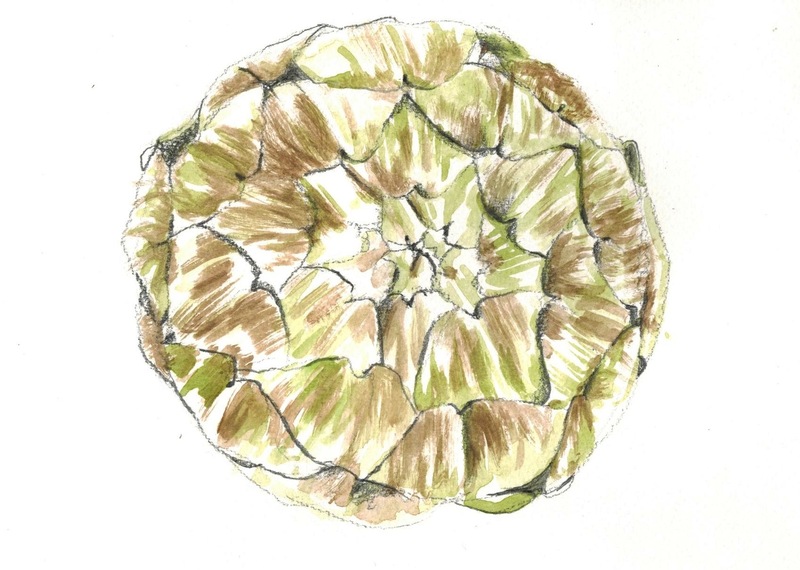 Hope to catch up over drinks and/or artichokes soon. Anyways, at home, we eat them as natural as possible, more often as an appetizer. We just boil the artichokes and make a béchamel sauce on the side. We dip the leaves in the béchamel and only eat the chunky part, until we get to the leaves we can’t eat. Then, we just take the hairy part out, and then eat the best part of artichokes with the béchamel, also. Very easy!